Whether they’re short and sweet (Friday night) or quick and dirty (Saturday night), the locally created (written, produced and performed) plays are all ten minutes or less in length. Seriously, Friday’s plays are no more than PG-13 and Saturday’s plays are “PG-13 and up”, so there’s something for every theatrical taste this weekend. Thursday, April 28th: Gabe Holmes, 5 p.m., Contented Cow; Jazz Band Concert, 7:30 p.m., Northfield High School Auditorium; Arabian Nights, 7:30 p.m., Kelsey Theater on the St. Olaf College campus; Mark Mraz, 8 to 11 p.m., Tavern Lounge; Karaoke, 8 p.m., 620 Grill; Percussion Ensemble, 8:15 p.m., Urness Recital Hall on the St. Olaf College campus. Friday, April 30th: Ray Coudret, 5 p.m., Contented Cow; Arts a la Carte, 6 p.m., Northfield High School, Very Short Play Festival, 7 p.m., Northfield Arts Guild Theater; Jason Paulson and Chad Johnson, 7 to 10 p.m., Grand Event Center; Northfield Earth Day Contra Dance, 7 to 10:30 p.m., Northfield Ballroom; Arabian Nights, 7:30 p.m., Kelsey Theater on the St. Olaf College campus; Early Music Singers and Collegium Musicum, 7:30 p.m., Boe Chapel on the St. Olaf College campus; MoeDell, 8 to 11 p.m., Tavern Lounge; Karaoke, 9 p.m., Rueb’N’Stein; and Live Music at 620 Grill. 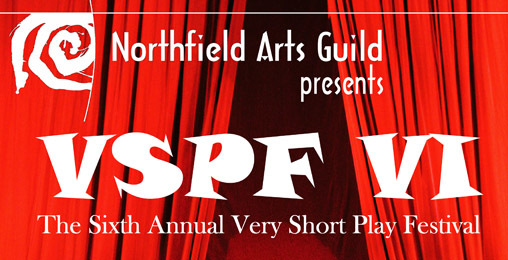 Saturday, April 31st: Arabian Nights, 2 p.m. and 7:30 p.m., Kelsey Theater on the St. Olaf College campus; St. Olaf Handbell Choirs, 2 p.m., Urness Recital Hall on the St. Olaf College campus; Tim Fast, 5 p.m., Contented Cow; Very Short Play Festival, 7 p.m., Northfield Arts Guild Theater; Norseman Band, 7:30 p.m., Skoglund Center on the St. Olaf College campus; I Cantanti a la Carte Concert, 7:30 p.m., Bethel Lutheran Church; Marv Gohman, 8 to 11 p.m., Tavern Lounge; Bonnie & the Clydes, 8 p.m., Contented Cow; and D J Music at the Rueb’N’Stein and 620 Grill. Sunday, April 24th: Politics & a Pint, 6:30 p.m., Northern Roots Session, 7:30 p.m., and Quiz Night, 8:00 p.m., all at the Contented Cow. This just in…as part of the 4th Annual Northfield Earth Day Contra Dance (a community contra dance to benefit the Cannon River Watershed Partnership), there will be FREE Round-trip Shuttle to the Northfield Ballroom from Bridge Square courtesy of EcoTrans (departs Bridge Square at 6:30 and 6:45 p.m./returns at 10:45 and 11:00 p.m.).